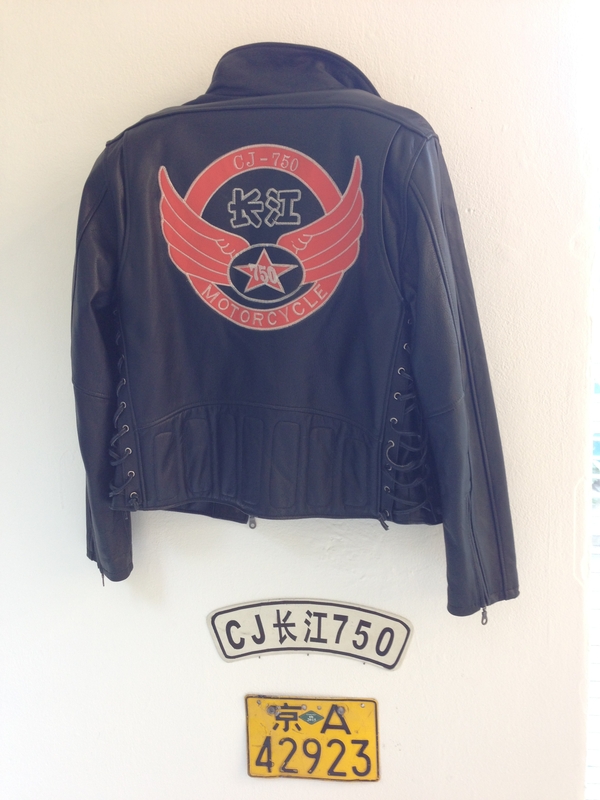 IJMS, International Journey of Motorcycle Studies, is a series of international conferences which explores the subjects of motorcycling, where academics and non-academics share their ideas and knowledge. 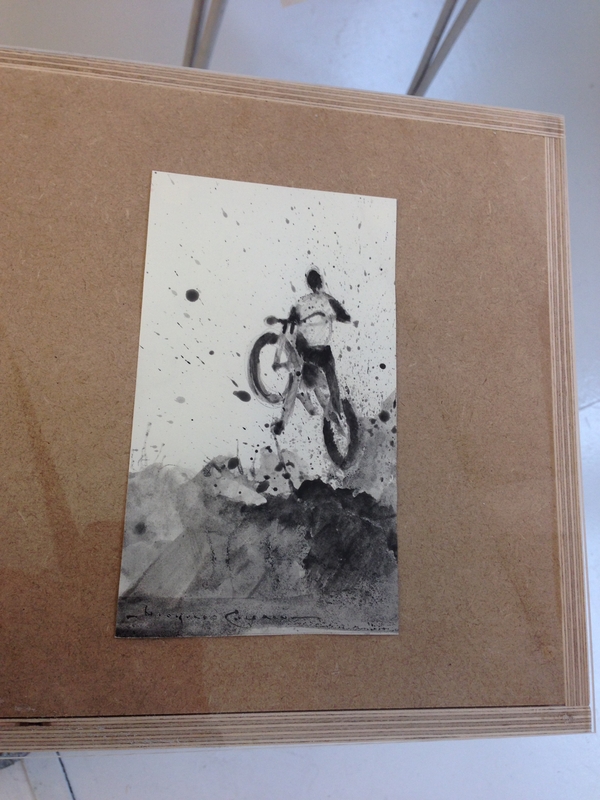 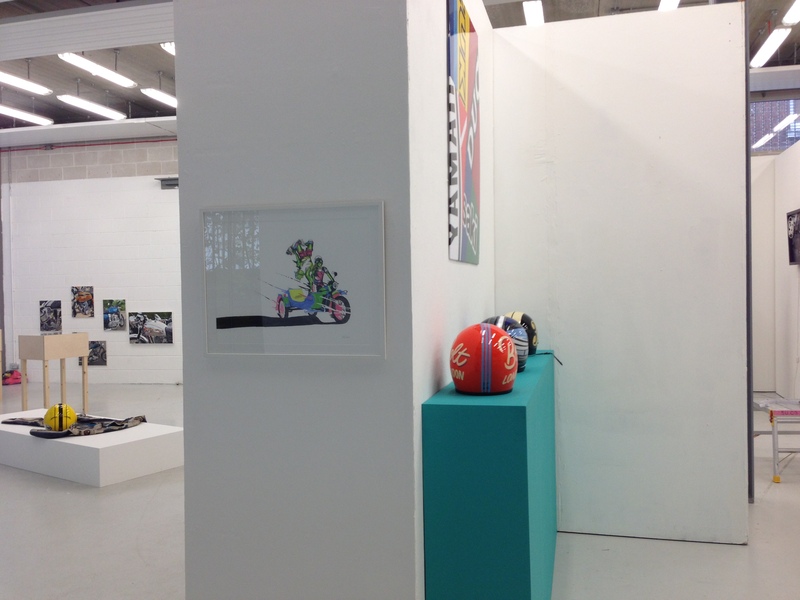 It took place during 3 days at Chelsea College of Art. 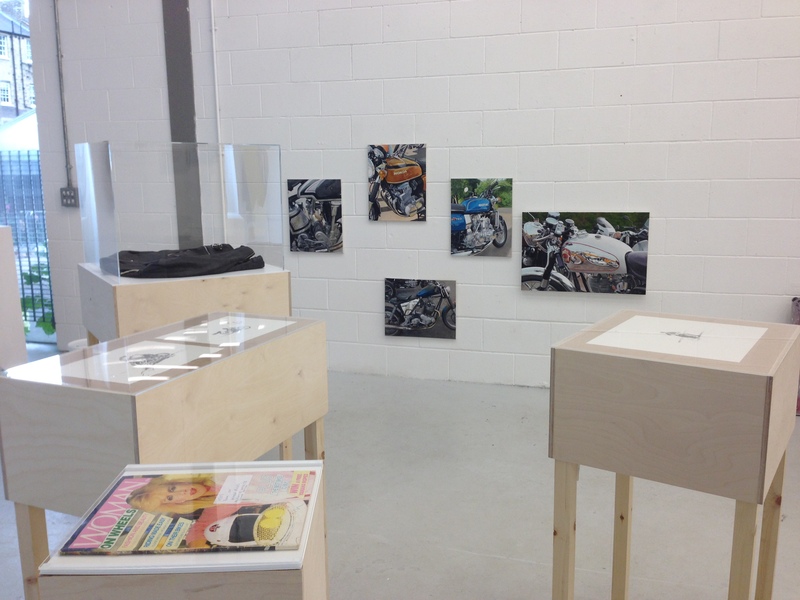 The conferences themes involve art, design, subcultures, gender, identity, fashion, sustainability, history and visual culture with the aim of attracting a mixture of delegates from different academic disciplines, as well as designers, industry experts and the wider motorcycling community. 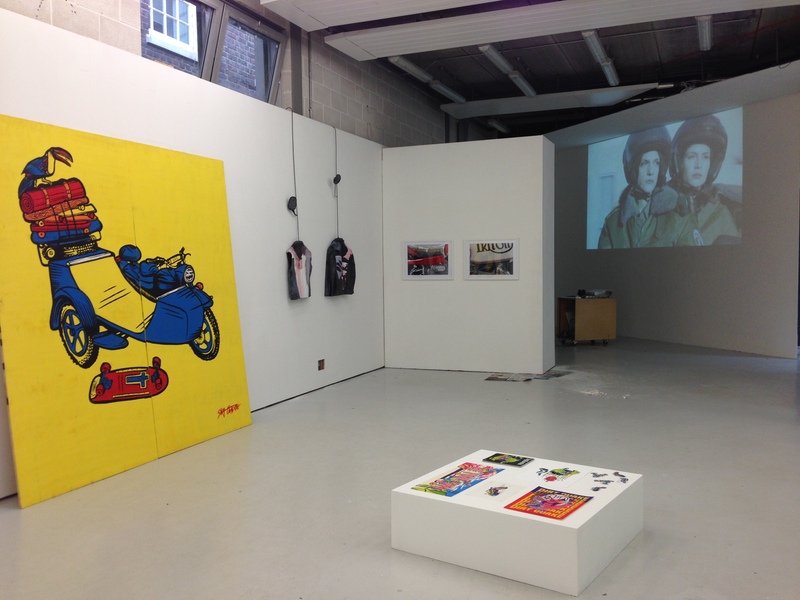 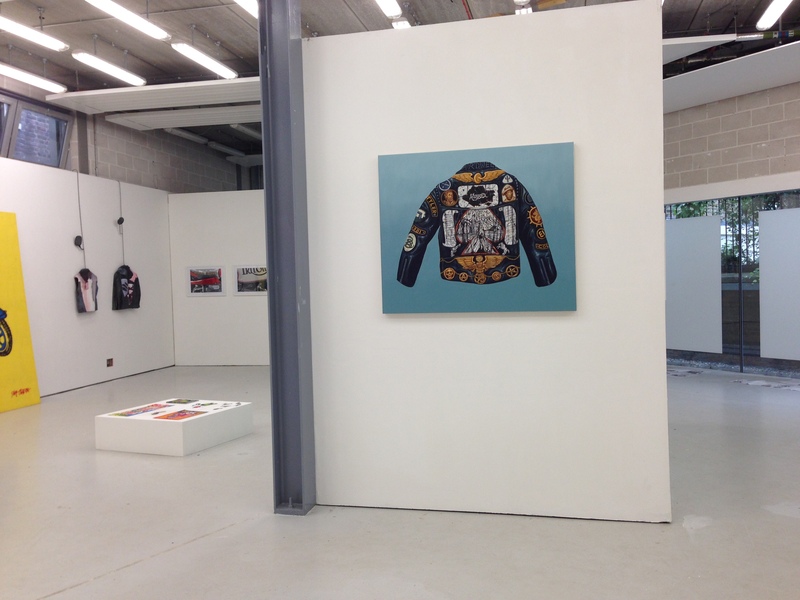 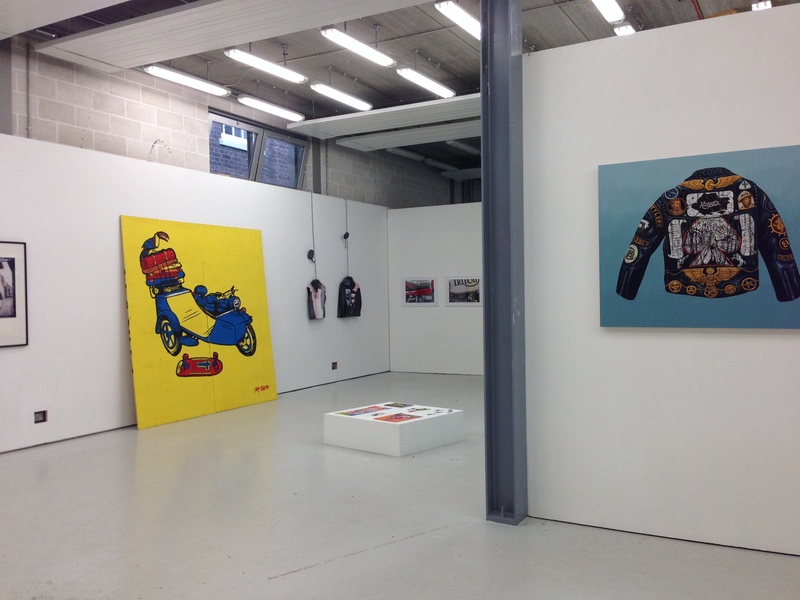 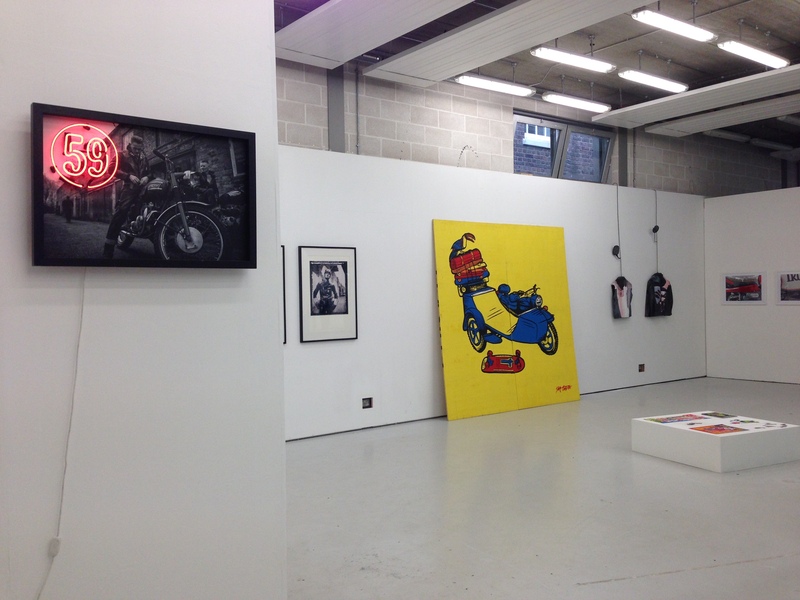 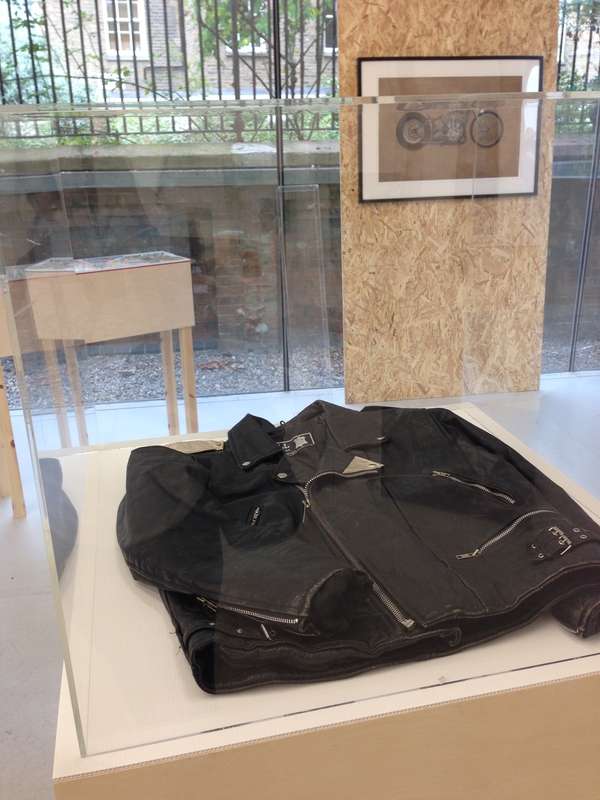 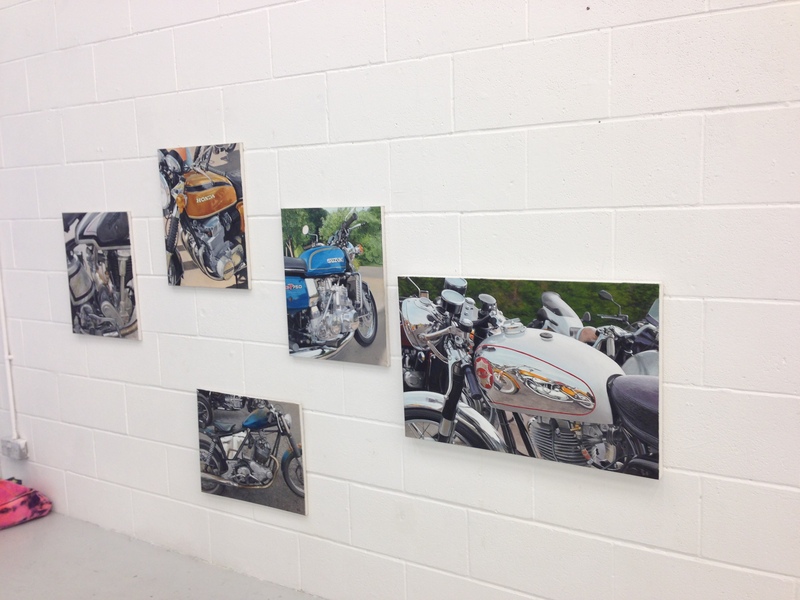 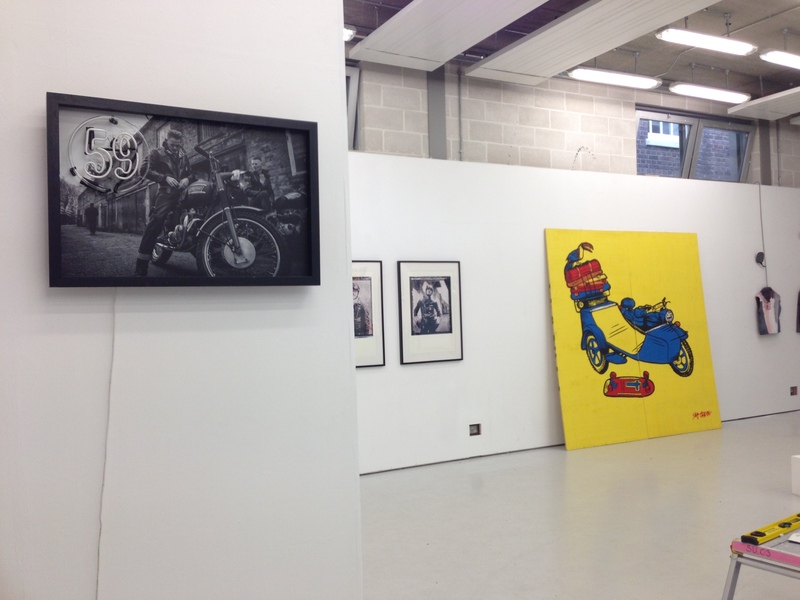 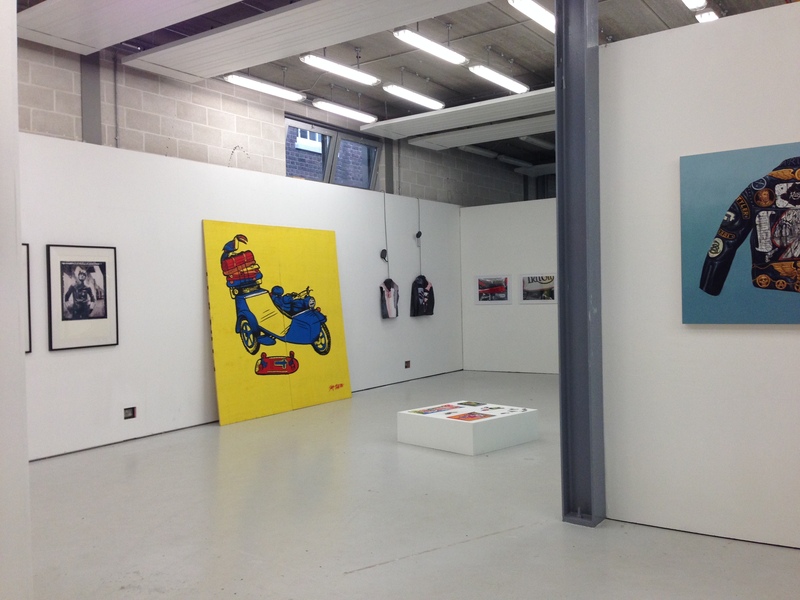 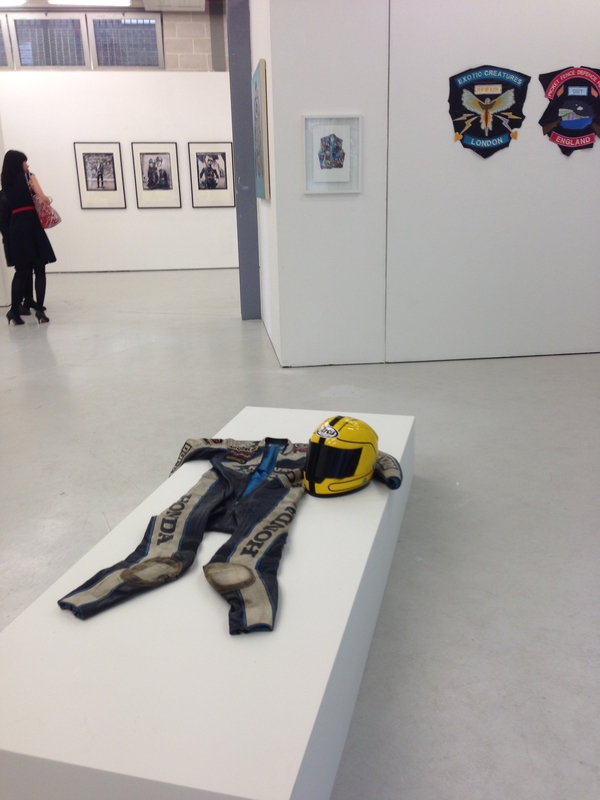 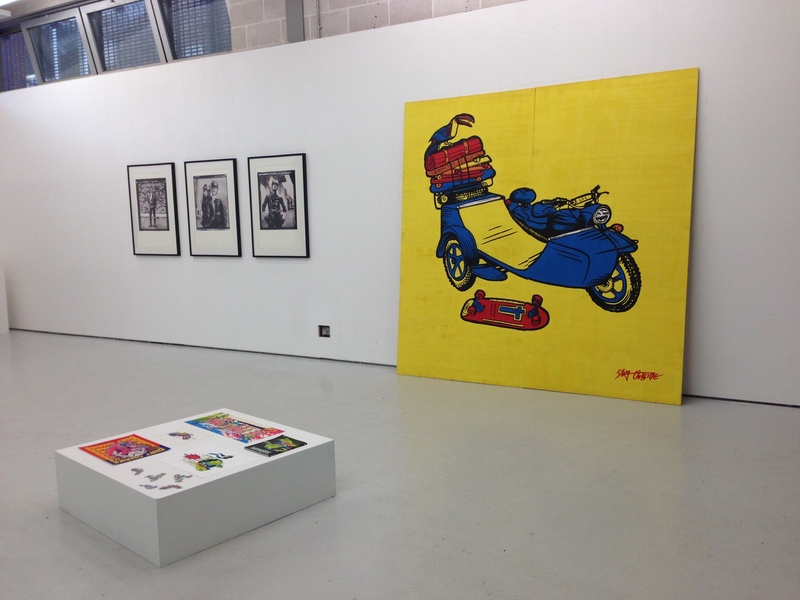 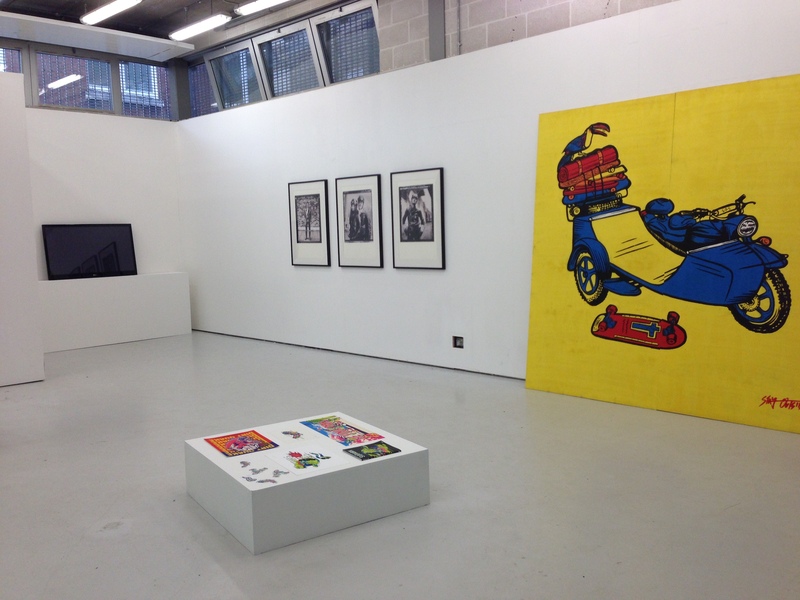 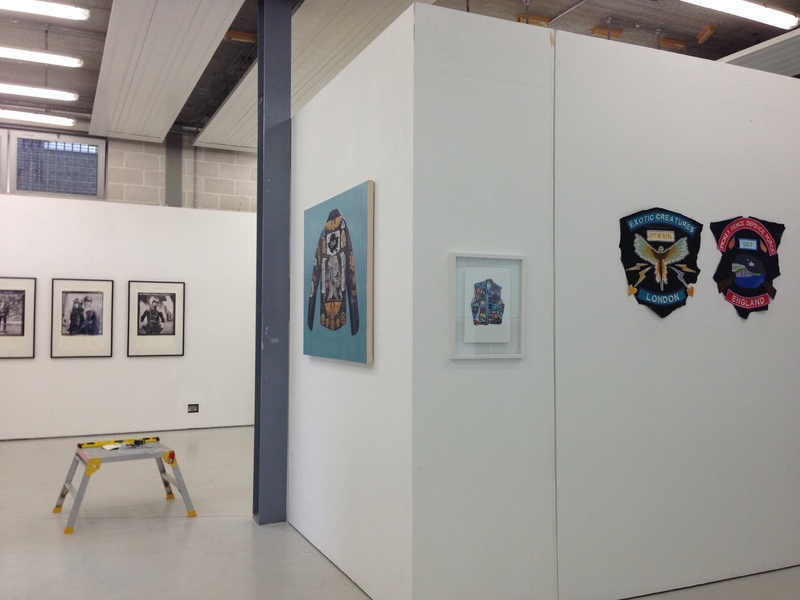 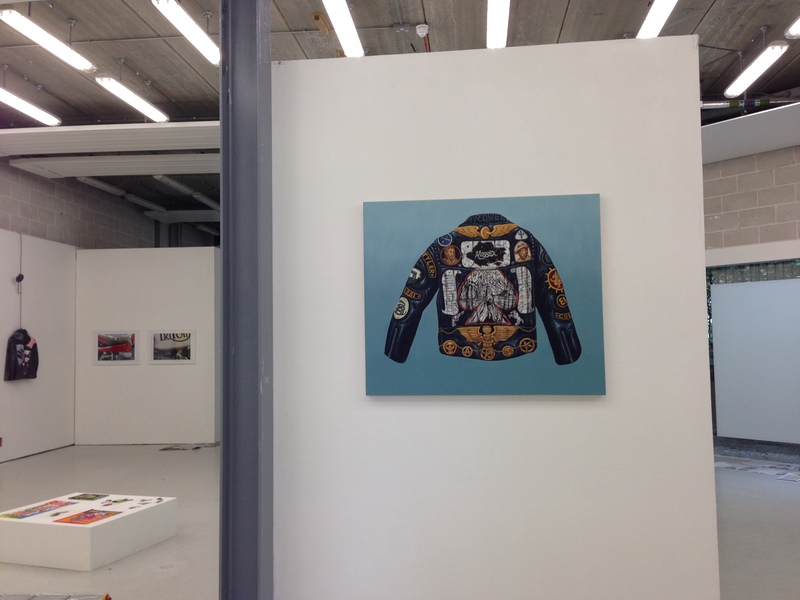 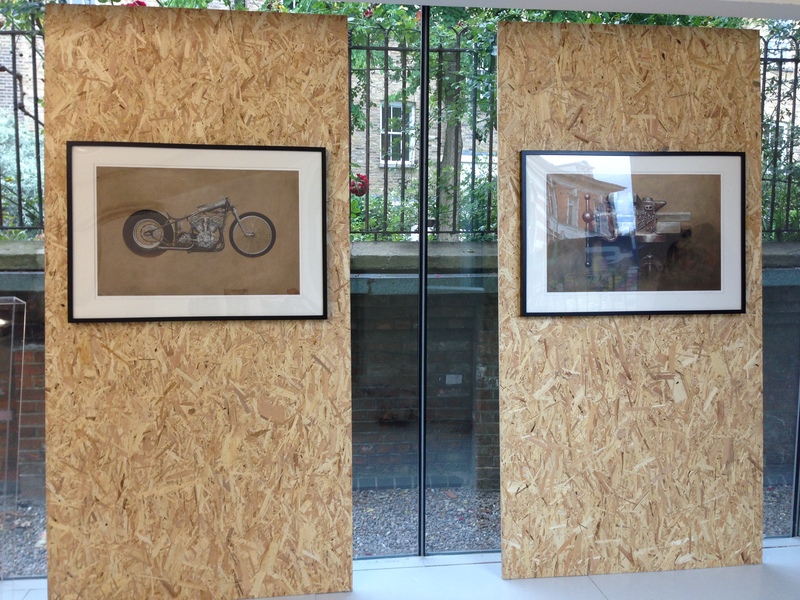 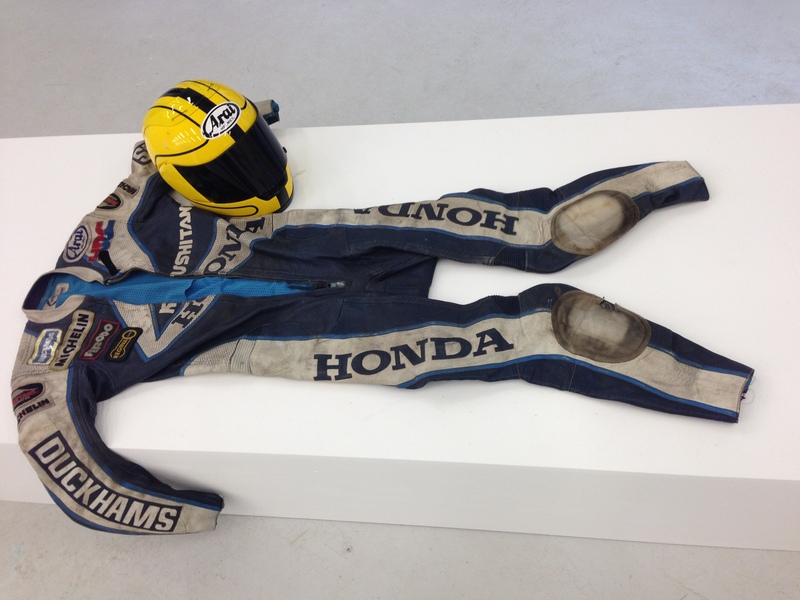 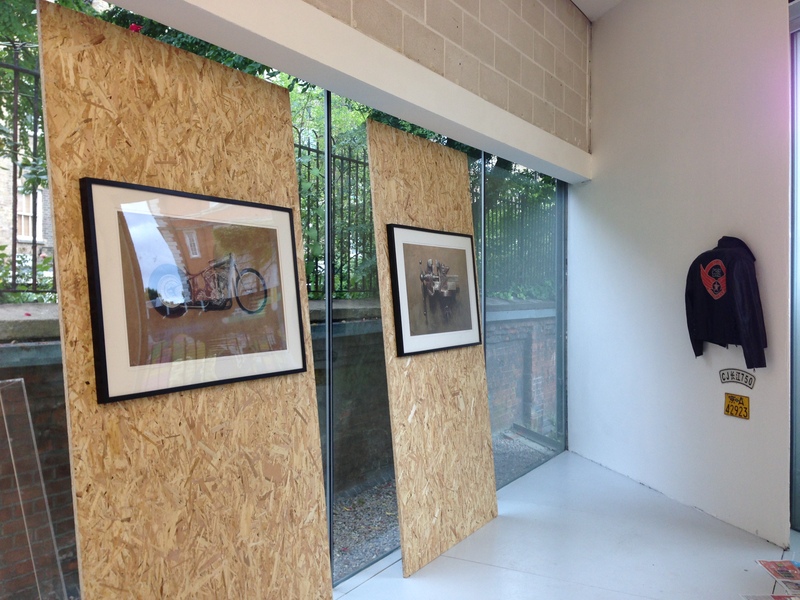 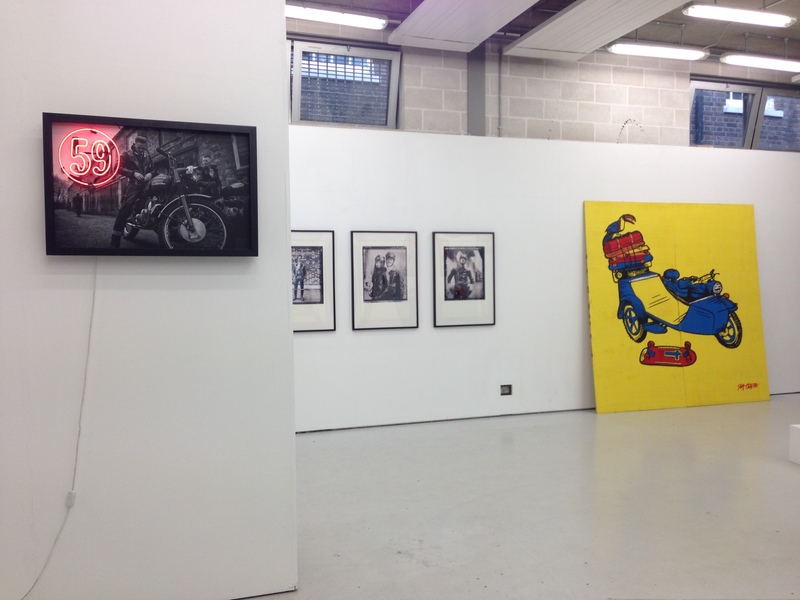 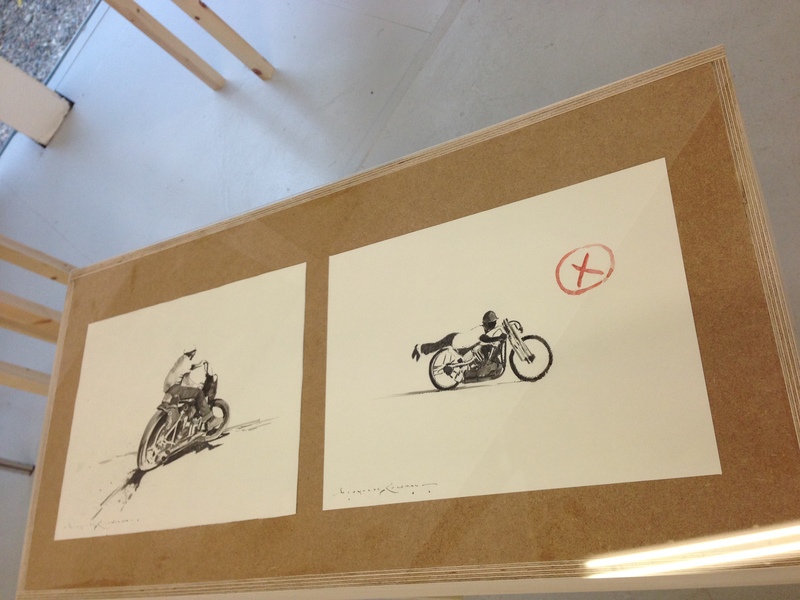 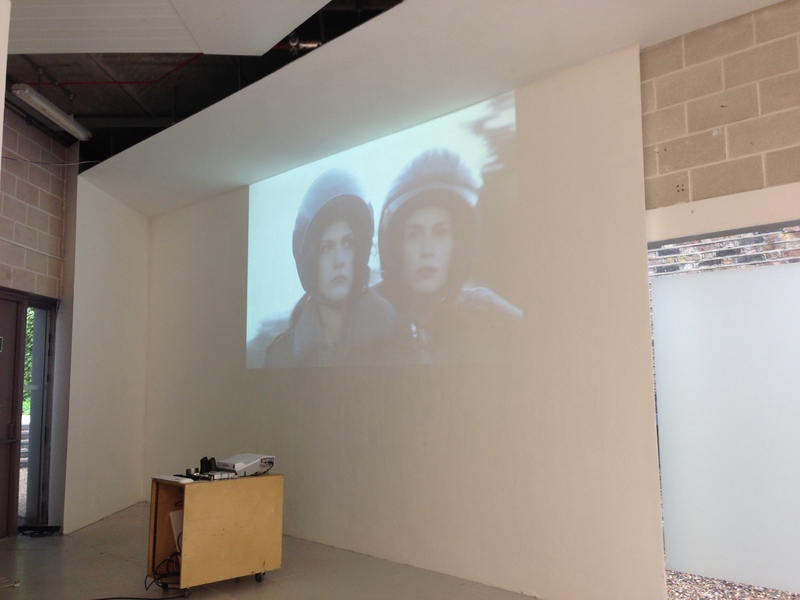 Alongside the conference, a motorcycling exhibition was put together at the Triangle Space (Chelsea College of Art), including examples of designed objects, fashion, photography, film and motorcycle related artifact. 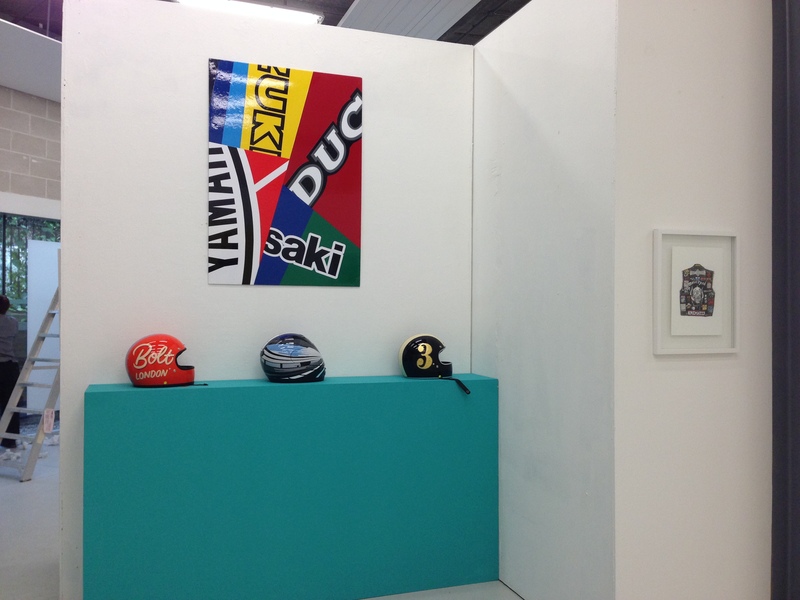 As part of the curatorial team, my participation was to assist the curator of the exhibition and organiser of the conferences, Caryn Simonson, to select the works to display, settle the spacial arrangement and decide the allocation of the works in the exhibition space. 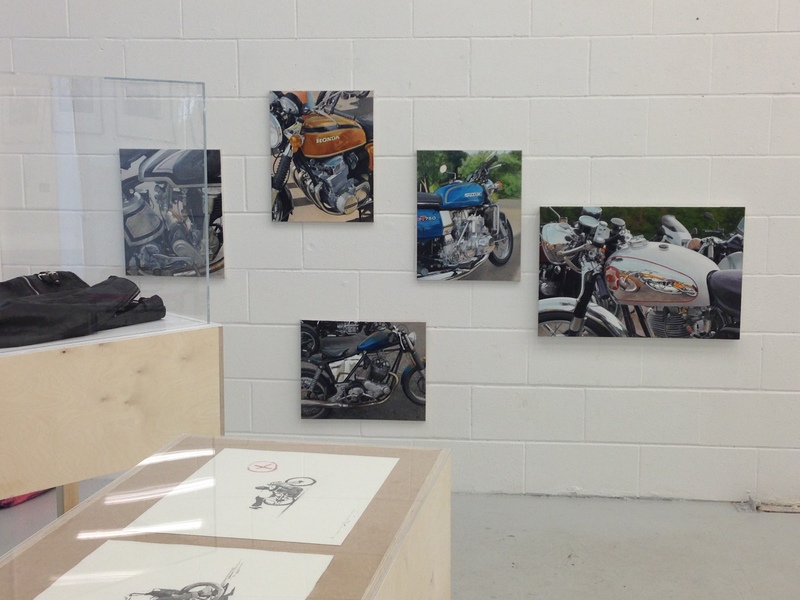 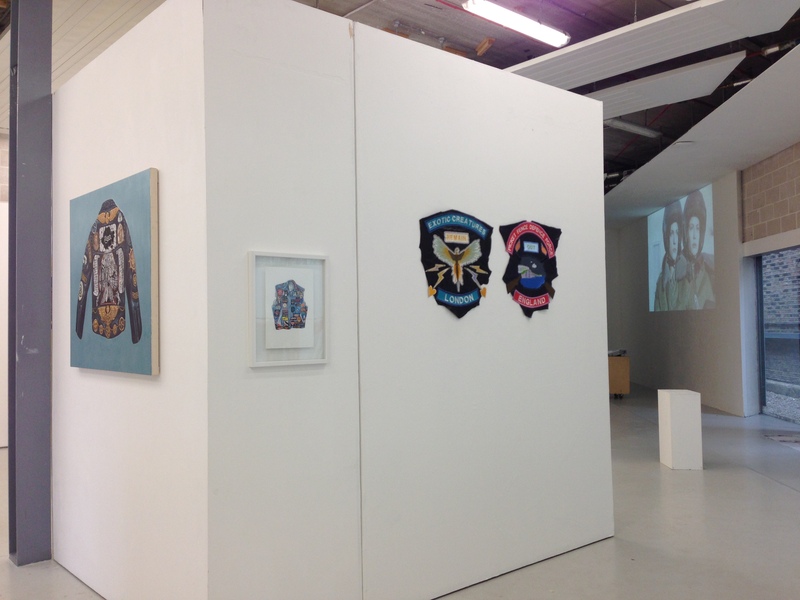 Artist/designers on display: Harriet Williams, India Jackson, Toria Jaymes (Stay Outside), Tom Halyard-Cardwell, Kathryn Round, Talana Gamah, Eddie Wright, BOLT Motorcycles, Nicholas Coleman, Mark Dean.